Current FIFA International rules shall govern play with league exceptions, as noted. See BAYS rules modifications for 6 v 6 and 8 v 8 play. Age group U5 – U7 play is “unstructured” and varies by season. The In-Town Director proposes rules of play to the SYSA board for approval. U8 play is governed by BAYS 6 v 6 rules with the exception that play is 4 v 4 or 5 v 5 at the executive board’s discretion. SYSA shall provide spring and fall playing seasons. Teams will be fielded as coaches, fields and equipment allow. All attempts will be made to accommodate all players who have signed up. In the event that SYSA cannot accommodate all the players who have signed up, preference will be given to those who do so during the registration period. Late sign-ups will be accommodated if positions are available on a strictly first come first serve basis. Teams will be fielded for age brackets from Kindergarten up through U14 in the fall. In addition, if the availability of players so warrants, U16 and higher teams may be fielded, and U5 will be fielded in the spring only. The U5 and U6 program will be a mixed gender program. Teams fielded for U7 and up programs will be of single gender. Exceptions to this policy will be considered on a case-by-case basis as decided by the Board. It is the primary goal of SYSA that players be challenged to their optimum level in soccer. The objective is to allow players to grow not only as soccer players but also as individuals. A rating system and team assignment program has been developed to help achieve this purpose. For In-town U5 – U8 “teams” are created by Age Group Coordinators with the goal of even teams. There is no “draft”. U9 and older teams, which play in leagues involving other towns, are formed by stratifying players according to ability and then carefully placing the teams in a level of competition where they have a reasonable chance for success (i.e. : the .500 season). This also gives SYSA the best opportunity to ensure that every player can be a contributor on his/her team. As an example, a division IV rated player, in a flat rated program, would play with and against division I through V players. As the chance for success would be greatly diminished, the player would, either by their own or their coaches decision, gravitate toward a low impact position on the field. Even here, having the demands placed on this player by the higher skilled players, the player’s skills would not develop nor would it help the player’s self esteem. If we take this same player and organize play with and against Division Ill through V players, just the opposite would occur. The player would not only be challenged but would also tend to gravitate toward higher profile positions on the field while still having a good chance for success. Thus, not only would a player develop faster but also their self-esteem and love of the game would increase. The Division I and II player also suffers with a flat rated team concept, but does so because of boredom brought about by lack of challenge. SYSA has a duty to every player to provide a program where they are challenged, have a reasonable chance of being successful, and if they so desire, prepare them for high school competition and beyond. Individual player ratings, which follow current SYSA guidelines and are completed utilizing SYSA player evaluation forms, will be completed at the end of each season by the appropriate coach. These ratings will be used as a guide in the selection process for all the teams in our program and will assist SYSA in meeting the goal of challenging players and teams. It is imperative that the coaches use only the most recent ratings to allow for upward mobility for developing players. In coordination with the coach and the Age Group Coordinator the SYSA Executive Board will approve placement of each player in the program. In addition, it is also the goal of SYSA to have, to the maximum extent possible, players playing with other players of their own age and grade and with the same team from season to season. Note that these goals, while important, are to be considered secondary to the primary selection and placement goal stated above. To facilitate achievement of the goals stated in 6.a, all teams from the U7 to U14 groups should, to the maximum extent possible, be organized in single age group teams (i.e. U7, U8, U9, U10, U11, U12, U13, U14). In this way, the secondary goals stated in 6.a.2 have a greater probability of being achieved. In addition, the ability to rate and stratify players according to ability and place them against appropriate competition (the primary goal stated in 6.a.1) is greatly enhanced. This is because the player pool in each age group will be smaller and, for the most part, will consist of the same group of player’s season after season. In special instances, placement of individual players above their age group shall be allowed. The primary reason for making such exclusions shall be that appropriate level of competition will not be available for said players within their age groups. In practice, this should apply only to situations where an age group has either one or a small number of division I caliber players. Nomination of these players to play up an age group shall be made by a coach, Age Group Coordinator or SYSA board member, none of who shall be a parent of the player. All such nominated cases must be approved by the executive board and shall be reviewed seasonally. Since travel leagues do not organize competition for the U7 and U8 age groups, teams in these age groups play in town against each other. It is therefore imperative that teams in these age groups be level loaded, allowing the greatest chance for all teams to achieve a .500 season. The primary goal of matches at this level is not to win. Instead, it is to foster individual development and love of the game. Coaches in these age groups have at their discretion the ability to swap players at the start of or during a match or pull players off (play shorthanded) in the event that matches prove to be lopsided. Mismatches in this age group are strongly discouraged. In accordance with the goals stated in 6.a, all teams in the U9 through U14 age groups shall, to the maximum extent possible, be separated into single age group teams that are stratified by ability and placed in appropriate divisions in travel leagues. It should be recognized that for the U13 and U14 11v11 teams, with their larger rosters, the goal of maintaining single age group teams that largely stay together season after season, will become significantly more difficult to achieve. Player placements on teams are not finalized until after team placement in league levels, but the registered players and expected placements of players does influence team placement. It is the function of the age group coordinator, based on input from coaches, player ratings, teams’ performance in the previous season and the players signed up for the following season, to recommend divisional placement of teams for the following season. Input should be gathered from the coaches in the age group within several weeks after the end of the season. Team placement submissions should be based solely on players who are signed up. Team submissions should not be based players who are not signed up, regardless of their parents’ claim of intent to eventually do so. The SYSA Executive Board will then review, modify if so determined, and then approve team placement levels for the following season. 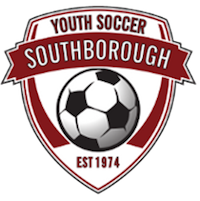 Several weeks prior to the start of the season, the SYSA Executive board will finalize player placements onto teams, guided by coach and Age Group Coordinator input. Once rosters are finalized the age group coordinator should again meet with all coaches in the age group to review their rosters and prepare them for them upcoming season. All U9, U10 and U11 teams shall be placed in leagues that allow for 6v6 competition. U11 team may be allowed to play in 8v8 leagues based on SYSA Executive Board decision. U12 teams will play in either 8v8 or 11v11 leagues, based on SYSA Executive Board decision season-to-season. U13 and older teams will play in 11 v 11 leagues. Depending upon field availability and condition, the executive board has the authority to restrict the amount of practice time allowed. In such cases, restrictions must be applied evenly to all teams in a given age group, regardless of divisional placement. The board may, in a given season, contract out the coaching of a certain number of practices per team to qualified outside agents. All teams in a given age group must be eligible to receive the same number of practices of the same duration. Payment for such services shall come out of general operating revenue and not out of additional assessments against a given age group. Attendance of the team’s coach or assistant coach at these practices/clinics is expected. The recommended size for 11v 11 teams is fifteen (15) with a maximum size of eighteen (18). The recommended size for 8 v 8 team is twelve (12) with a maximum size of fifteen (15). The recommended size for 6v6 teams is ten (10) with a maximum of twelve (12). The recommended size for U7 and U8 teams is eight (8) with a maximum of ten (10). Exceptions to these guidelines shall be reviewed and approved by the board. Roster sizes in excess of the noted maximums may be allowed based on coach discretion and executive board approval. The dual rostering of players will be governed by current MYSA and league rules. No player shall be rostered on more than one SYSA team without prior board approval. No player will be rostered that is not registered with SYSA. All coaches shall strive to maintain fairness towards all players and afford an opportunity for equitable time. Players are expected to show a commitment to the soccer program and attend the majority of practices and games. Coaches have the discretion to make playing time adjustments in the event of unequal attendance at practices and games, or in the event of necessary discipline. Coaches will do their best to insure that they are consistent and fair in the handling of all players. If playing time is restricted due to the factors listed, it must be consistently restricted to all players in such position on a team, regardless of their relative skill. The strongest player is subject to the same discipline as the weakest player. Teams involved in 6v6 competition that have 11 players on their roster should play each player the same amount of time. Whenever possible all 5 field players should be subbed at once to prevent any confusion regarding equitable play time. For teams fielding fewer than two full shifts, all players must play at least ½ of the game. Intentional inequitable distribution of playing time in matches for any other reason than those listed above shall not be permitted, and doing so will result in the coach facing disciplinary action, up to and including immediate dismissal from the SYSA program. Regardless of the competitive level in which a team is placed, it is important that equal playing time and positive reinforcement be stressed. It is imperative that coaches place the long-term development of a player over a short-term goal of winning a single game. All players from U6 – U10 are expected to play all positions during games over the course of the season, and for relatively equal time. Every player should play goalkeeper. Coaches are expected to monitor their positional distribution so that every player has equal opportunity. Keepers should play one half of a game such that on a team with a ten-player roster by the end of the fifth game every player will have spent one half as keeper. Coaches not adhering to the relatively equal position distribution in the U6 - U10 age groups will be subject to disciplinary action, up to and including immediate dismissal from the SYSA program. At U11 - U12 player positioning can become more discretionary, but coaches are strongly encouraged to have every player spend at least 50% of their playing time in varying positions, with the other 50% allocated toward positions that the player may begin to show particular aptitude towards. Coaches have discretion as to which players they place at keeper – everyone need not play keeper after U10. At U13 & U14 positioning is at the coaches discretion, with the direction that player requests to play specific positions are honored for at least four halves of games over the course of the season. Players shall wear uniforms selected by the Board. Replacements for wear will be made on an individual basis, dependent upon need. The coaches shall provide support to the referees at all times. Coaches shall teach players to maintain respect for the referee and his/her decisions. At all times every player, coach and spectator will abide by the BAYS Zero Tolerance Policy stated below. SYSA has augmented and extended the BAYS Zero Tolerance policy with a SYSA-specific policy. Read the SYSA Zero Tolerance policy here. If a player or a coach is ejected from the match by a referee, they will not be allowed to play/coach in the next match played by his/her team. This applies to all matches. Any disciplinary action taken by the league in which play occurred will be enforced. The Board shall be notified of any ejection within 24 hours by direct phone contact with the President or Vice-President. If a player or a coach is involved in a fracas, they will not be allowed to play/coach in the next match played by his/her team. In addition, the Board will hold a special meeting/hearing to decide if any other further action is appropriate. Player, coach, or referee behavior that is judged unbecoming or inappropriate shall be referred to the Board for review and action. See the zero tolerance policy in section 15. Coaches are required to promote fair play and to de-emphasize “physical” play, instead focusing on techniques and tactics. Coaches will not have dogs, other siblings, or relatives on the sideline during games. They will not encourage play that may be dangerous to other players. They will seek to be positive and constructive. All coaches are subject to disciplinary action up to and including dismissal from the SYSA program for violations of the guidelines set forth in this document. Volunteering to coach includes agreeing to comply with all of these guidelines. In the event of a complaint the coach or SYSA Vice President should be contacted. The Vice President will manage a formal review that will include contacting various people involved in the situation, as well as the age group coordinator and any others they deem appropriate. The Vice President will determine a recommended course of action, seek input from other executive board members, and implement the action. In the event that the action includes disciplinary measures the Vice President will review the action with the executive board that will then vote on the recommended action. In the event of any disagreement with the placement of teams, the selection process, tournament involvement, lack of communication or disagreement with the age group coordinator, a coach should contact the Vice-President. The Vice-President will also inform the Executive Board of the situation. If the Vice-President deems it necessary, they can convene the Executive Board to resolve the situation. After each season, each U5-U8 participant will receive a trophy or medal. The Board will determine guidelines for cost of awards and SYSA shall assume these costs. These guidelines may be updated or changed at any time as deemed necessary by the Board. They should be reviewed periodically. All changes to these guidelines shall be subject to the amendment process outlined in Article 9 of the SYSA constitution and Bylaws. The Executive Board adopted these rules of play and operating guidelines for SYSA in March 1995. They were most recently revised and accepted in January 2004.